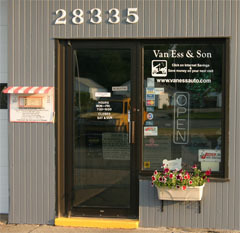 Voted #1 Auto Repair Shop In Livonia! 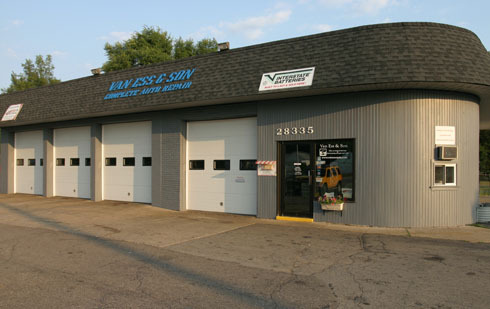 Van Ess & Son specializes in offering you the finest quality automotive maintenance services with a specialty in electrical repair. We have been a locally owned and operated business in Livonia, Michigan, for more than 25 years. In that time, we have established a reputation for excellent customer service, professional automotive repairs, and always being honest and dependable. Our mechanics can diagnose and repair your vehichles problems on most foreign or domestic car, truck, van, or SUV. 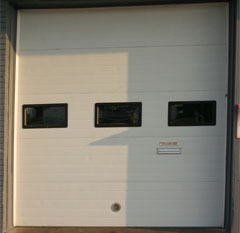 Our trained professionals have many years of experience and will do the job right the first time. We offer a courtesy shuttle for our customers so that you can make it back to work or home while your car is with us. And, you never have to worry about cleaning up after us, we promise to leave your car as clean as we found it. Contact Us for automotive maintenance and repairs.